This Home Is Marvelous & Should Be A Model! 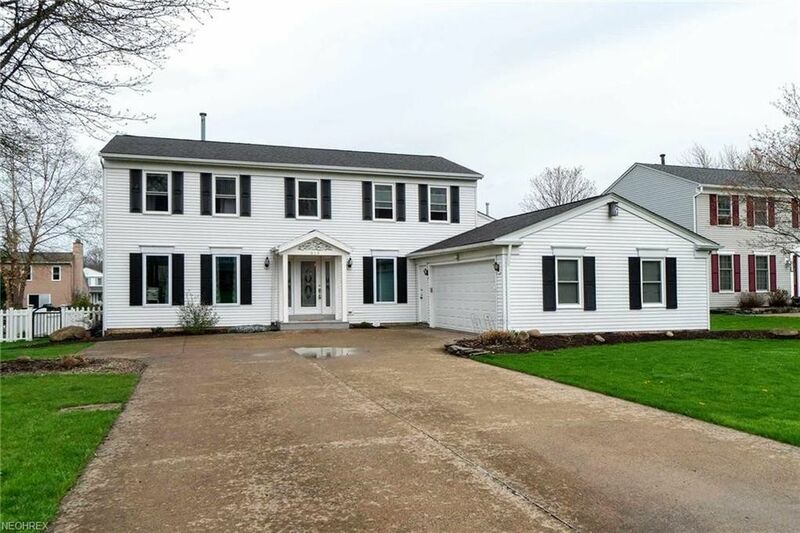 Really...A 5 Bedroom & Not Your Typical Colonial! Walking In The Front Door You Will Find Plenty Of Entertaining Space With All Updated Luxury Flooring! This Is A 5 Bedroom Home With The Bonus Bedroom In The Lower Level Featuring A Nice Sized Walk-In Closet, Egress Window, And Completely Remodeled Full Bath! Used As A Teen Hide-A-Way, But This Space Could Be Utilized Also As An In-Law Suite! All Windows Are Newer & E-Rated (except Bay window) And Were Installed in 2017 & 2018! This Kitchen Is A True Dream...Maple Cabinets, Level 5 Granite Counter Tops, Convection Microwave Top Of The Line LED Fixtures & A Vast Butcher Block Island That Welcomes The Family To Dinner! You Will Be Impressed! Custom Copper Handrails & Decorative Cable Railings Lead You To The Upstairs Bedrooms. Both Bathrooms Up Here Are Completely Remodeled-Newer Shower Stalls, Toilets, & Vanity's! All Bedrooms Are Good Sized With Fresh Paint & Newer Carpets! Oversized 2/3 Car Garage Has A Bonus 24x14 Addition That is The Car Buff Or Crafters Dream, With It's Own Heat Supply! Store Your Hot Rod Or Motorcycle Right Here! Furnace, A/C And High Efficiency H2O Tank All Installed In 2017! This Home Is Complete And Is Saturated With Plenty Of Bonuses & Fantastic Finishes! Back Decorative Patio Offers Built-In Fire Pit And Also A Fenced In Yard! Steps Away From The School & City Park! Hurry...Recently Reduced!!! Directions: Off Pearl Off Rolling Hills Dr.